Bharti Airtel, Idea and Vodafone, three of India’s largest telecom carriers, have jointly written a letter to the Indian prime minister to request that intra-circle roaming be allowed for 3G networks, according to a report by IBNLive. 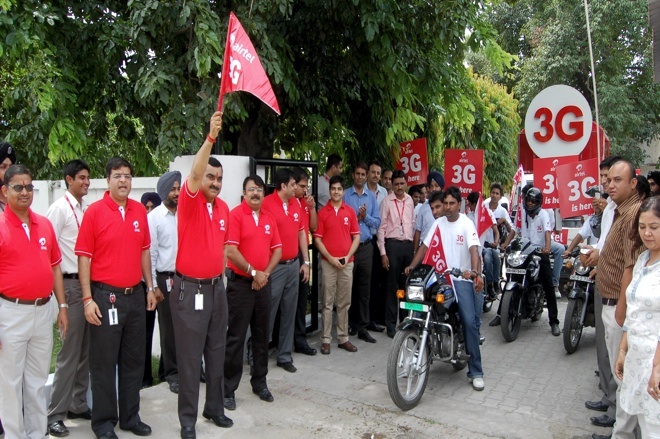 Failing that, the three companies have asked that the government revoke their 3G licenses and provide refunds, along with interest and compensation, for all the investments in 3G made so far. Having paid exorbitant sums of money to win the spectrum during the 3G auction in India last year, the carriers have been hoping to recoup those costs by allowing users of other networks to roam on theirs to get 3G access. However, the Telecom Regulatory Authority of India (TRAI) has refused to allow that, saying that it is against the terms of the spectrum licenses. With the TRAI unwilling to budge on its stance, the carriers have chosen to air their complaints in front of the prime minister, and have threatened to suspend their 3G networks if intra-circle roaming isn’t allowed. The letter has been jointly written by Bharti Airtel and Idea’s chairmen Sunil Mittal and Kumar Birla respectively and Vodafone CEO Vittorio Colao. While the TRAI’s dogged attempts to counter rising SMS spam in India and strict enforcement of Mobile Number Portability rules in the interest of the consumer have been admirable, it seems to us that there is no such consumer-oriented reason behind the organisation’s insistence on banning intra-circle roaming on 3G networks. Since the 3G spectrum was not allotted on a pan-India basis, different states have different networks providing 3G connectivity. This means that travellers have to make do with the much slower EDGE network when outside the boundaries of their own state, and for the TRAI to insist on maintaining the status quo is detrimental to the technology’s adoption rate.